If you’re a true southerner, then you know what goes best with some fried catfish or shrimp…hush puppies! We love those little round cornmeal battered balls that are scumptiously finger-licking good! They are not only yummy and iconic but a must-have for many southern tables. Where do they come from? Well, there have been a few guesses as to the hush puppies origins but nothing etched in stone. 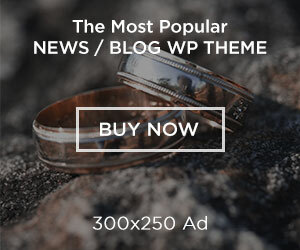 Here’s a popular story…. An African cook in Atlanta is said to have given the name hush puppy to this food. When frying a batch of catfish and croquettes, a nearby puppy began to howl. To keep the puppy quiet, she gave it a plateful of the croquettes and said, “hush, puppy.” Since the name was cute, it stuck. This same story is also attributed to a Creole cook. And then, there’s the one about how hush puppies originated in the settlement of Nouvell Orleans (later called New Orleans, Louisiana), shortly after 1727. They were created by a group of Ursuline nuns who had come from France. The nuns converted cornmeal into a delicious food that they named croquettes de maise. The making of these croquettes spread rapidly through the southern states. Well, it doesn’t really matter where hush puppies originated but what’s important is that we can down this perfect side dish to our heart’s content! 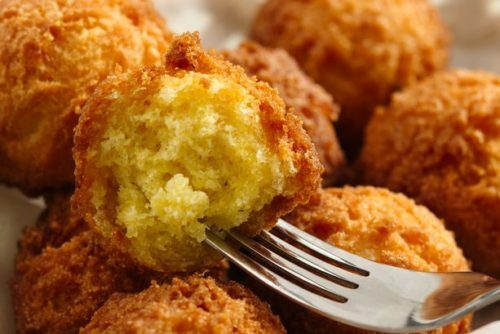 Here is a recipe for hush puppies that you’ll wind up making over and over again! Bon appétit! Pour oil to a depth of 2-3 inches into a heavy-bottom pot. Heat to 350°F. While oil is heating combine dry ingredients in a large bowl. Stir in onion and beaten eggs until mixed well. Add beer; stir well. Working in batches, carefully drop batter by rounded tablespoonfuls into 350°F. oil and fry for about 2-3 minutes until golden brown, turning as they fry to evenly cook. Carefully transfer hush puppies using a slotted spoon to a paper towel-lined baking sheet or cooling rack to drain and cool.